We were recently asked to lend a hand at a group event hosted by Ghost Magnets with a Twist. It was a great opportunity for us to share our passion and experience with other paranormal enthusiasts. We had several very interesting experiences. A few were even quite personal. Here are some highlights from the evening. We'd like to extend a special thanks to medium Julia Drahos for opening her amazing home to us. 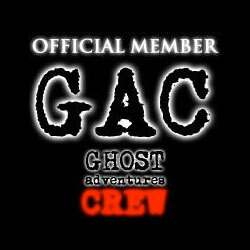 Be sure to follow Ghost Magnets with a Twist on Facebook.